The blog of the Vocations Director of the Anglo Irish Province of the Presentation Brothers. Greetings to all! 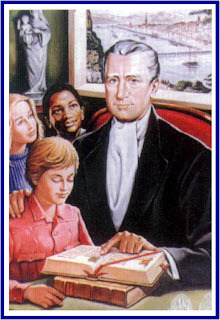 Today, 5th May, is the feast of Blessed Edmund Rice, our Founder. I want to wish you all every blessing on this special day. Edmund was a man with a vision for his time but it is also for our time. Our values and norms are often focused on ourselves and not on those on the margins. We must be willing to put Christ back in our lives and follow both Him and Edmund so that we can be a beacon of light to the world around us-to our communities, our parishes, our families and our young people. Let us focus today on the man called Blessed Edmund and see what we can do in the 21st century that would inspire more men to join us and continue the mission of Blessed Edmund. Today is ‘la Bealtaine’ which translates as May Day. It’s a day that goes back many generations in Irish culture and history. It officially marks the arrival of summer ‘though it may not feel like it just yet. It was a day when the cattle were released to summer pastures. At the heart of Bealtaine is a reminder of growth and abundance at this time of year. The month of May has traditionally been a time of special devotion to the Mother of God. 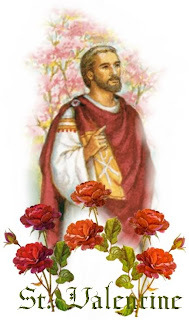 A memory I have of growing up in a loving, faith-filled home was of my mother erecting the May altar with a statue or portrait of Mary, surrounded by flowers. Parish grottos were attended to and there were May traditions in many parts of the country. I came to discover later that we, Presentation Brothers, have a special devotion to Mary and are named after the Presentation of Mary in the Temple. Let's seek her intercession for all those who are discerning their vocation. 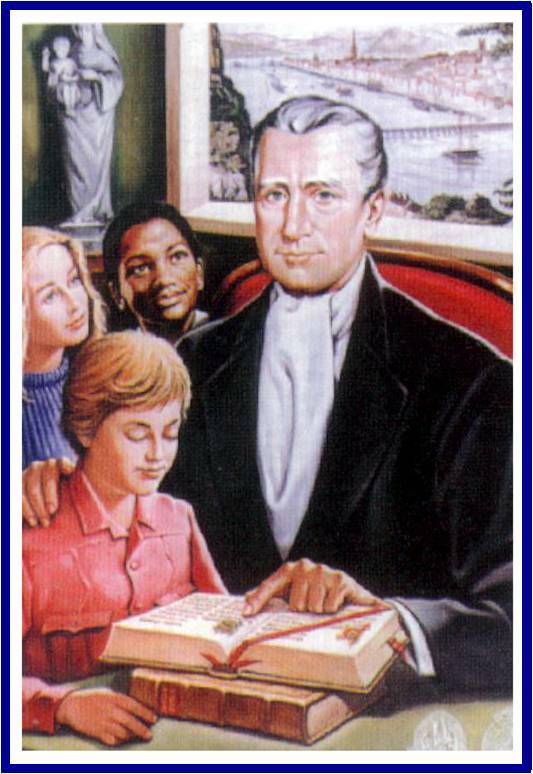 Let today's young men and women echo her words, "Be it done unto me according to thy Word". We need saints who wear jeans and runners. listen to music and hang out with friends. but who let go of their power. We need saints who have time every day to pray. with a spirituality that is part of our time. and the necessary social changes. who are not afraid to live in the world. and who listen to CDs. theatre, music dance and sports. friendly, happy and who are good companions. but who aren’t of the world. It takes only a few moments of reflection to realise that I have to love something really deeply to bring it back from the dead. It is self-hatred and disregard for others that keeps our world the way it is. It is a lack of care on the part of some that imprisons communities and even nations into endless cycles of poverty, neglect, starvation, unemployment and hopelessness. If I love sufficiently, our seas and waterways would be clean again, stars would reappear, trees would be healthy and green. Moreover, the strained relationships in families, work-places, offices and schools, the strange distances between colleagues and family members need only a smile or a word of love and acceptance to be healed. Who can love enough to resurrect our world and all who dwell in it? The only great love that can deal with all this is to focus on the Easter celebration. It is God’s immense love for Jesus, the Christ. God demonstrated boundless love and affection for Jesus in a resurrection. Jesus is swept up by God’s immense love and stands alive with a new kind of life, proclaiming peace and acceptance to all his friends, even to those who had denied and deserted him in his greatest need. Jesus associates us with himself and elicits from God the same kind of creative love that God has for him. 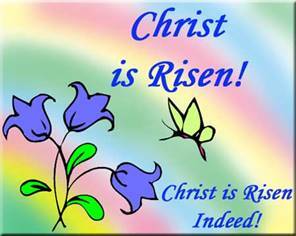 Best wishes to you all for a blessed and peace-filled Easter! Part of a regular medical check-up is to have tests taken of your pulse, blood pressure, a heart check and perhaps a blood test. 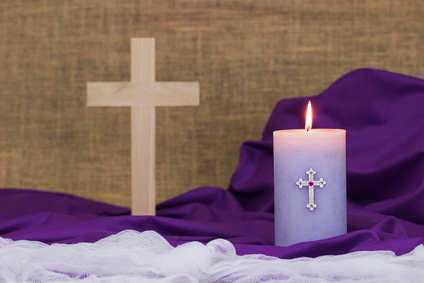 With the season of Lent, there is the invitation for a spiritual check-up – one that lasts for forty days! Just as many of us do not like visiting doctors, many of us may not like the season of Lent. Perhaps it is for the same reason. Are there issues I may not wish to face up to? Perhaps I am not as well as I would like to be; perhaps changes in life-style will be called for, when I would prefer to continue as I am. Nevertheless, in both cases, I know it is for my benefit and I am being irresponsible if I avoid looking after body, mind and spirit. I don’t know about you, but the above certainly applies to me! Let us use the remaining time of Lent to examine our minds and hearts and to commit ourselves to transformation and renewal so that we truly can “discern the will of God” – what is good, acceptable and perfect”! Wednesday, February 14th, is of course St Valentine's Day, a day when we talk about love more than usual. A lot of the discussion you hear today will be light-hearted and fun. But who was St Valentine? There are some conflicting accounts but we know he existed and his remains have been identified in the catacombs of Rome. 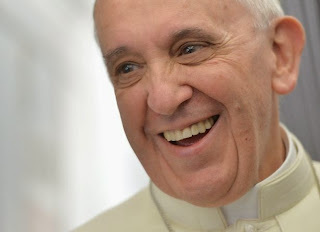 This feast day has been celebrated for 15 centuries! 1. He was a Catholic priest. 2. He was arrested for tending to the needs of the persecuted Christians of Rome. 3. He was executed for refusing to renounce the Catholic faith during the persecution of Roman Emperor Claudius. For men and women discerning a vocation, then there is an obvious resonance here. For a start St Valentine answered the call to serve by embracing a religious vocation. Secondly, he served those in need and risked his own life to do so. Finally, he refused to deny his faith and has since been remembered as an icon of love. It's ironic that at a time when celibacy and chaste love are dismissed, the day on which the world celebrates love is in fact a day in honour of a priest who died for his faith! The Feast of St. Bridget! The beginning of February is traditionally associated with the heralding of the start of spring and the arrival of fertility to the land. The land dormant during the winter months begins to stir and new life embarks on its journey towards the light. Precious seeds, deep within the soil are germinating, awaiting the breath of spring to accompany them to the earth’s surface. These are days when we are invited into our own spring space – a space where new life is stirring, awakening and becoming, a space full of potential and possibility. These are days of rebirth and re-growth, of renewal and resurrection. 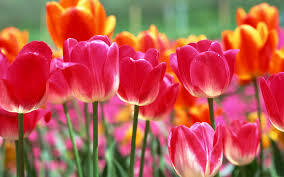 Then with their first appearance they adorn the earth with their beautiful presence and remind us of resurrection. The 1st of February marks the feast of St. Brigid, patroness of Ireland, and we celebrate this great woman of prayer and her great devotion to God and neighbour. She dedicated her life to God and to the poor. She became known for her good works and many young women were inspired to follow her. The following day is the feast of the Presentation of the Lord. We conclude a year of celebration for Consecrated Life as we celebrated the many priests, brothers and sisters whose faith, devotion and commitment influenced many of our lives. We remembered the young men and women who continue to discern a call to priesthood or religious life. We continue to pray for them all and thank God for their lives of quiet dedication. We also celebrate the feast of St. Blaise on the 3rd of February, whose life was very simple and ordinary. He is known worldwide for his care of those who were sick and particularly those with ailments of the throat. Many churches will give a blessing on the day. If you can't make it to a church, then our own quiet prayer to St. Blaise will be just as effective and important. I'm always available at vocation@presentationbrothers.org if you'd like more information.